The 1858 manifest for Georg H Berends indicated he was a forester. The occupation of the immigrant is listed on some manifests during the 18th century time period. 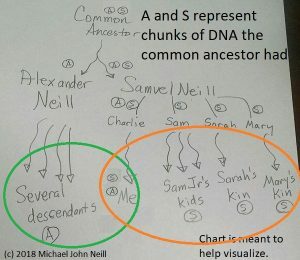 Ancestry.com does not (as of this writing) include that information as a search term. 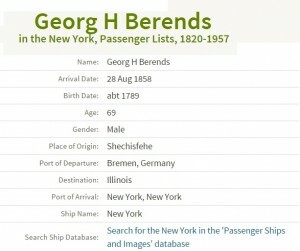 Try searching for a Berends arriving on 28 August 1858 with keyword for*. The keyword box needs to be checked exact to require for* to be in the results. 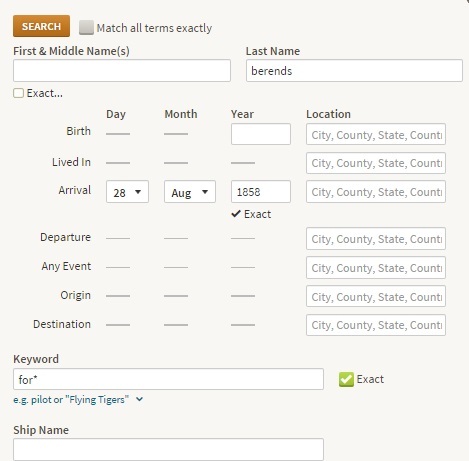 If that box is unchecked, you’ll get results because there are things that match some of what you enter, not because the word forester is a part of the database entry. Requiring for* to be in the results brings no results–meaning that the occupation truly is not being included as a search term. This entry was posted in Uncategorized on December 28, 2015 by mjnrootdig.